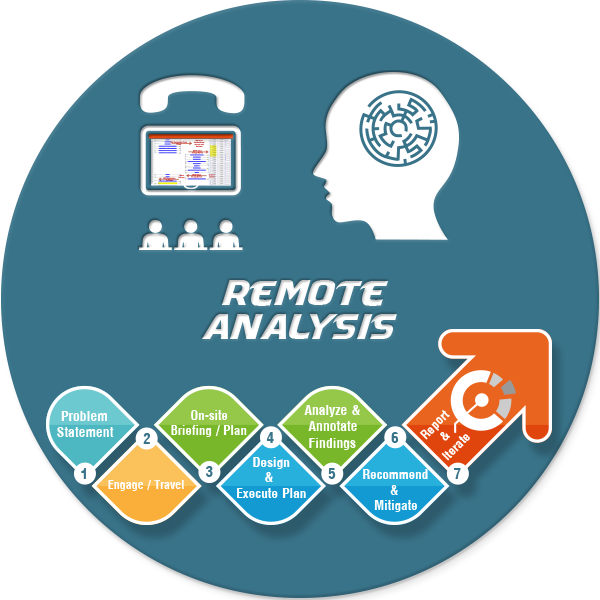 Remotely through phone, web meetings, remote access and file transfer we assist you step by step to monitor, capture and diagnose the technical issue causing network or application issues. Due to security, urgency and to enable full collaboration we help diagnose your issue onsite. We use your existing tools to diagnose the problem rapidly until the problem is diagnosed. Our ability is proven, capable and cool. We move critical problems toward a solution, collaborating with your team and existing equipment. Intrinsically working together we provide on the job training building your people, processes and procedures. If your goal is to have a pinpoint diagnosis that your team can build upon – put us on your team.